The exterior of the Loew’s Kings in the 1960s. Several people served as managers of the Kings since it opened in 1929. The first was Edward Douglas who managed the theater until 1943. Clyde Fuller, who managed from 1943 to 1957, followed Douglas before moving to the Loew’s State in Manhattan. Daniel Cohen, who worked at the Kings from 1957 to October 1961 and left to take a job in the publicity department of the Loew’s corporate office, replaced Fuller. Joe Beck was transferred from the Loew’s Gates Theatre to replace Cohen. During his tenure as manager, Beck arranged for a local ice cream parlor to provide coffee and doughnuts to patrons waiting in line to see Breakfast at Tiffany’s on opening day. Beck managed the Kings for a little over a year before being transferred to the Loew’s Tower East in Manhattan’s Upper East Side in March 1962. 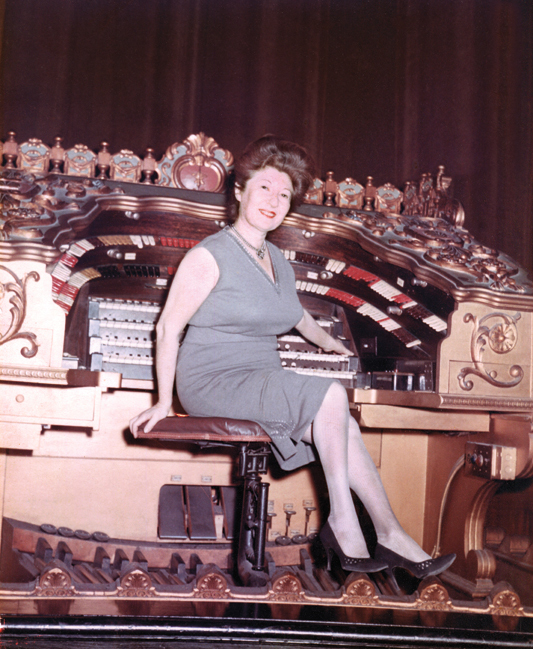 Dorothy Solomon Panzica sitting on the organ console at the Kings Theatre. However, none of these managers were quite as unique as Dorothy (Solomon) Panzica. Born near Boston and raised in Brooklyn, Panzica began her theater career as an usherette at the Loew’s 46th Street Theatre in Brooklyn. By 1942, she had been promoted to manager. 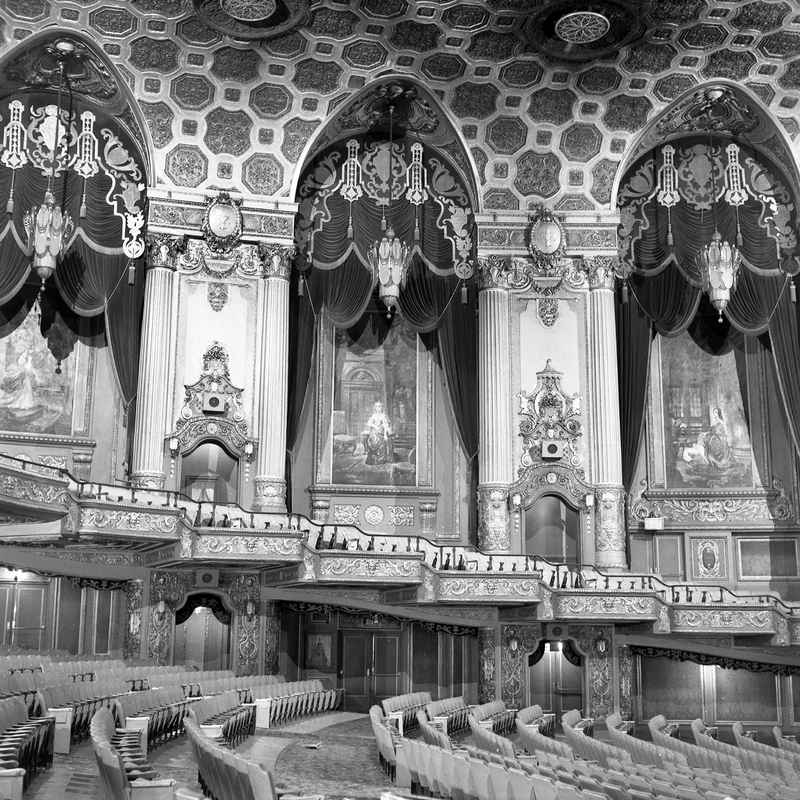 She had managed six other Loew’s theaters (the Kameo, 46th Street, Brevoort, Palace, Commodore, and Oriental) before being transferred to the Kings in March of 1962. When she found out she was going to the Kings, Panzica reached out to Nick’s Moving Company, one of the tenants at the Loew’s Oriental. She wanted to make the move a larger than life event and she convinced Nick to provide a moving van for an impromptu parade from the Oriental to the Kings. Panzica had a banner made that read “The Fun is moving to the Loew’s Kings” and had it hung from the moving van. She filled the van with empty trunks that were decorated to look like movie tickets and concession treats, and began the four-mile drive from the Oriental to the Kings. Local school bands marched at both theaters, each playing a synchronized salute to American composer George M. Cohan. Panzica had a rather unorthodox way of promoting movies, and that lead to her becoming known as the “Lady Showman of Flatbush Avenue.” For example, if she didn’t like the film that was playing she’d put, “One of the WORST movies we’ve shown” on the marquee, and that caused people to show up to see just how bad the film could be. Another time, people were not coming to see a movie that was playing so she instructed the ticket taker to start selling tickets and making change very slowly. Before long, a line started to form and more people would join it thinking that the movie was one worth waiting for. Panzica also rented out the theater for other functions, such as school graduations and group meetings. She brought in so much extra money through the rentals that she often won contests held by Loew’s. 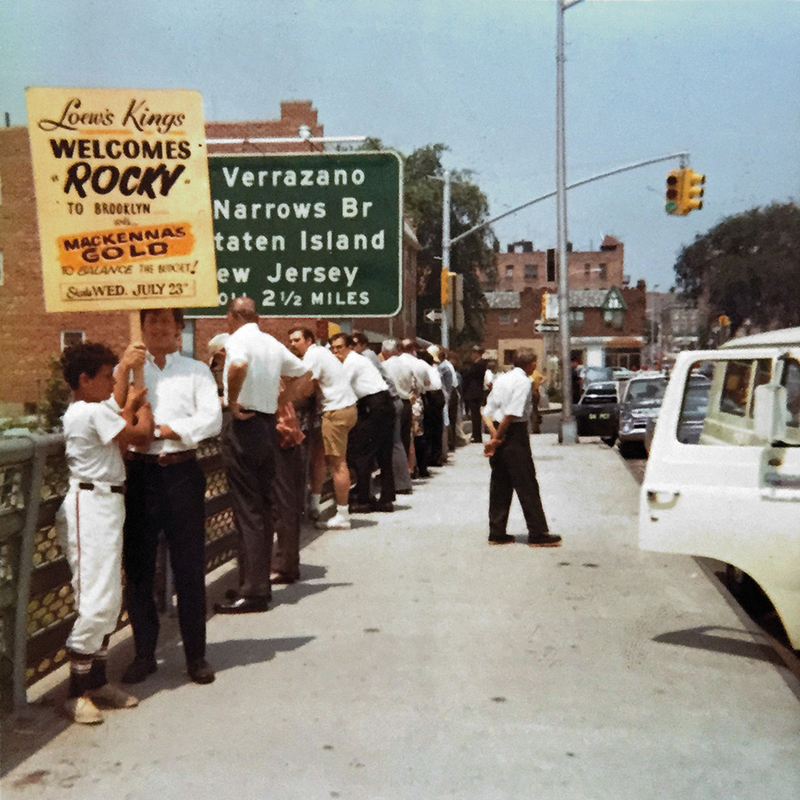 Panzica heard that Governor Nelson Rockefeller was going to make an appearance at the opening of the lower level of the Verrazano Bridge on June 28, 1969 so she sent four ushers to the bridge with signs promoting Mackenna’s Gold, which was scheduled to open at the Kings the following month. Loew’s opened a modern twin theater in the Georgetown neighborhood of Brooklyn in 1968. The Georgetown Twin, as it was called, had one thing the Kings lacked – a large parking lot. Patrons flocked to the new theater, and eventually the Kings started showing films 20 minutes after they started at the Georgetown so they could get the overflow from the sold out showings. 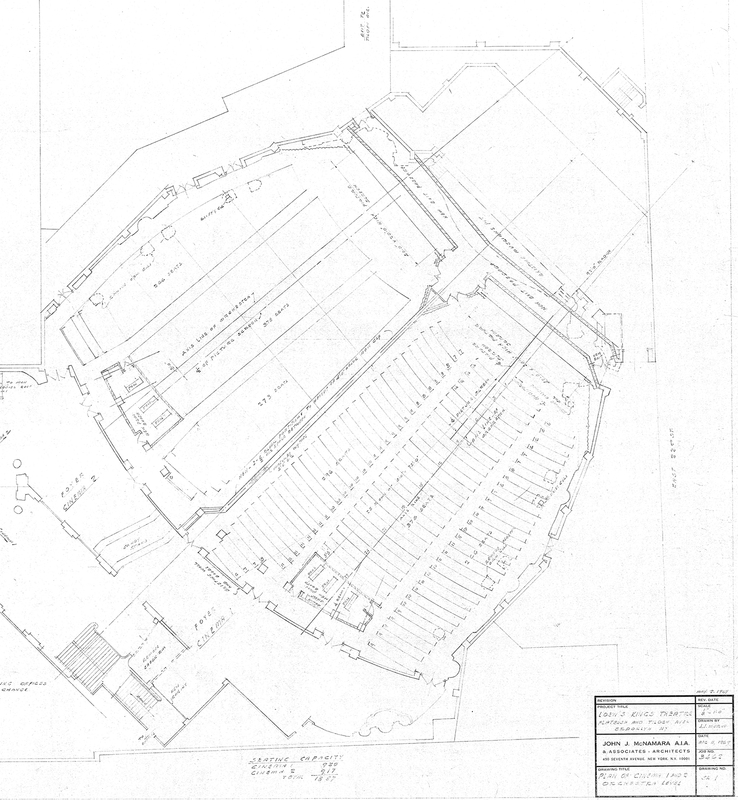 Blueprints for the proposed division of the Kings Theatre auditorium by the John J. McNamara Architectural firm. McNamara was an associate of famed theater architect Thomas W. Lamb. 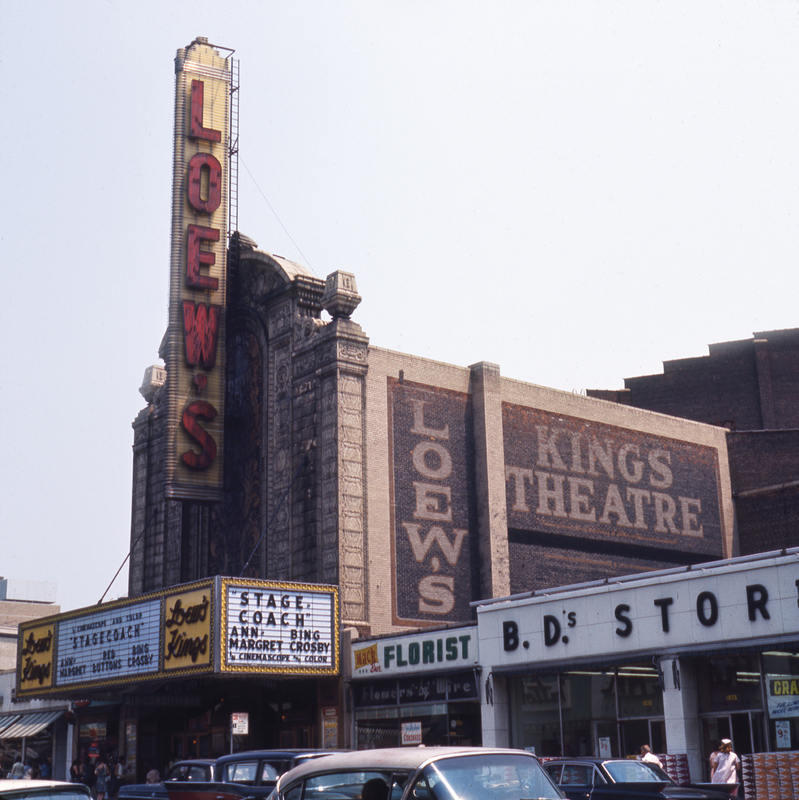 In early 1969, Loew’s hired John J. McNamara, an associate of well-known theater architect Thomas W. Lamb, to convert the Kings from a single screen theater to a triplex. 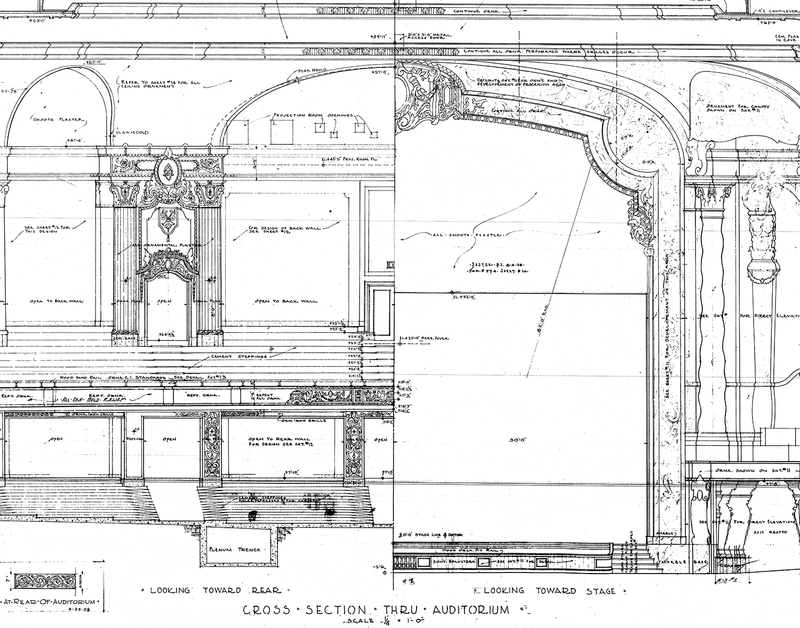 The plans called for the orchestra level to be divided into two screens with a third screen in the balcony. The balcony floor would have extended to the proscenium, and much of the ornamental plaster, including the columns would have been removed. Since the balcony of the theater is very short, the cost of extending it and dividing the orchestra would have been excessive. Dorothy Panzica paid a visit to Loew’s Corporate Headquarters in Midtown Manhattan as soon as she heard about these plans and convinced them to preserve the theater as a single screen. 1969 was also the 40th anniversary year of the Kings, and Dorothy Panzica made sure there was a huge celebration. Together with the Flatbush Merchants Association, the theater celebrated the occasion with a month of contests and prizes culminating in a gala event at the theater on October 3, 1969. The Purple Wood, a band that has since faded into obscurity, entertained crowds in front of the theater. Eventually the crowds grew so large that police had to cordon them off from the arriving guests. 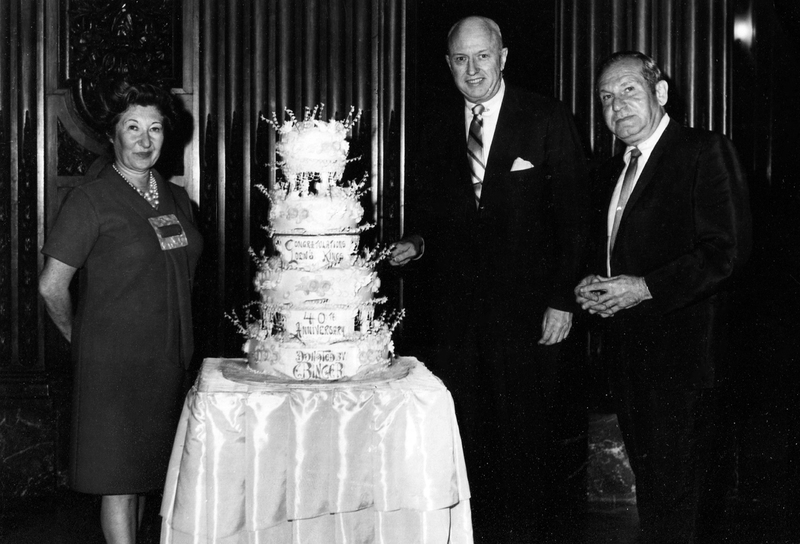 Ebinger’s, a local Brooklyn bakery, baked a special cake that read “Congratulations Loew’s Kings 40th Anniversary – Donated by Ebinger’s” just for the occasion. Among the people attending the event were: Brooklyn Borough President Abe Stark, Jack Rosenberg (president of the Flatbush Merchants Association), Bernard Diamond (VP of Loews Theatres), Harold Graff (Loews Division Manager), and Daniel Cohen (Loews Eastern General Manager and former manager of the Kings). Flatbush experienced a shift in demographics in the late 1960s and early 1970s. Many of the Italian, Irish, and Jewish families that once made up the neighborhood moved to the suburbs, and businesses began to follow. In early November 1973, Panzica picked up the theater’s copy of Flatbush Life and saw the front-page article titled “Filthy Flatbush Avenue.” She was outraged and immediately set up a meeting with a number of local merchants, who, like Panzica, were angry at the article because it would drive customers away. The group brainstormed a number of ideas before deciding that they should organize a neighborhood cleanup. Panzica, ever the show-woman, used the cleanup to promote an upcoming film – The Way We Were starring Barbra Streisand and Robert Redford. She had signs made that said, “Flatbush is beautiful. 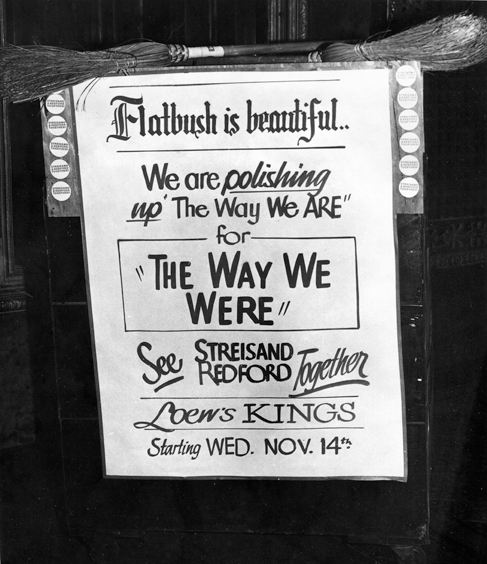 We are polishing up ‘The Way We Are’ for ‘The Way We Were.’ See Streisand and Redford Together at the Loew’s Kings starting Wed Nov. 14th.” Ushers and volunteers carried those signs as they swept and picked up trash along Flatbush Avenue. Panzica was awarded first prize in the Columbia Pictures The Way We Were showmanship contest for her efforts in promoting the film. 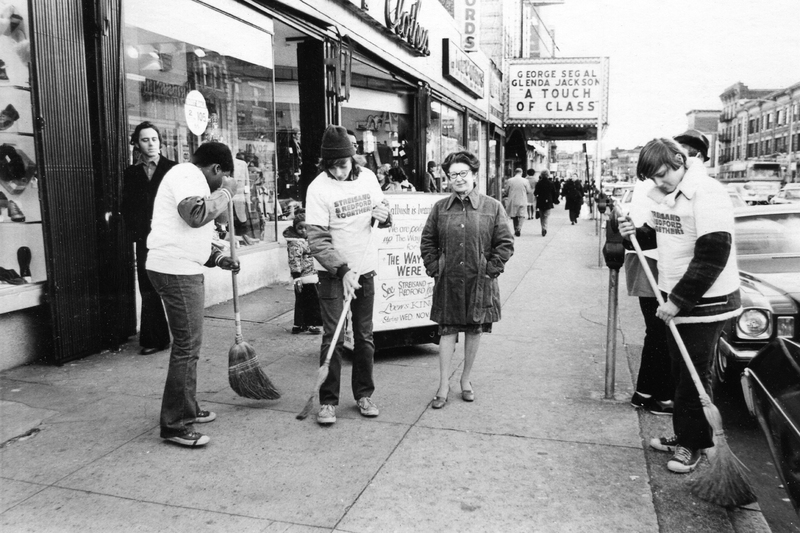 Employees of the Kings Theatre cleaning up Flatbush Avenue. Panzica shutting the power to the marquee and upright sign on her last day at the Kings Theatre in 1975. Panzica announced her retirement in September 1975. She was so beloved that the week of her retirement the Loew Down, Loew’s weekly newsletter, was entirely devoted to her career. Martin Brunner, who previously managed the Loew’s Gates in Brooklyn, replaced Panzica as manager. Brunner was used to programming for a different demographic and began bringing in a lot of kung fu and “B” films to show at the Kings. According to Paul Lepelletier, Brunner did not promote the films like Panzica and also failed to bring in outside groups to rent out the theater. Attendance began to decline and, at the same time, the cost of keeping the theater open was going up. Rumors began to circulate that Loews was going to sell the Kings. 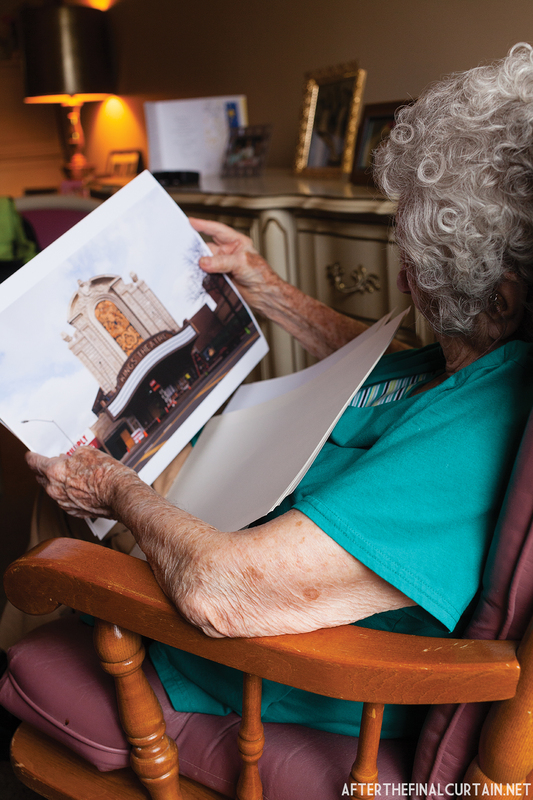 Dorothy Solomon Panzica looking at photographs of the restored Kings Theatre in her nursing home shortly before the theater reopened. Material from for this post was taken from the first three chapters of my book, Kings Theatre; The Rise, Fall and Rebirth of Brooklyn’s Wonder Theater. If you’d like to buy a copy they are available on Amazon, and on my website. Historic photographs and blueprints are from the archival collections of the Theatre Historical Society of America, and the Goodman family. 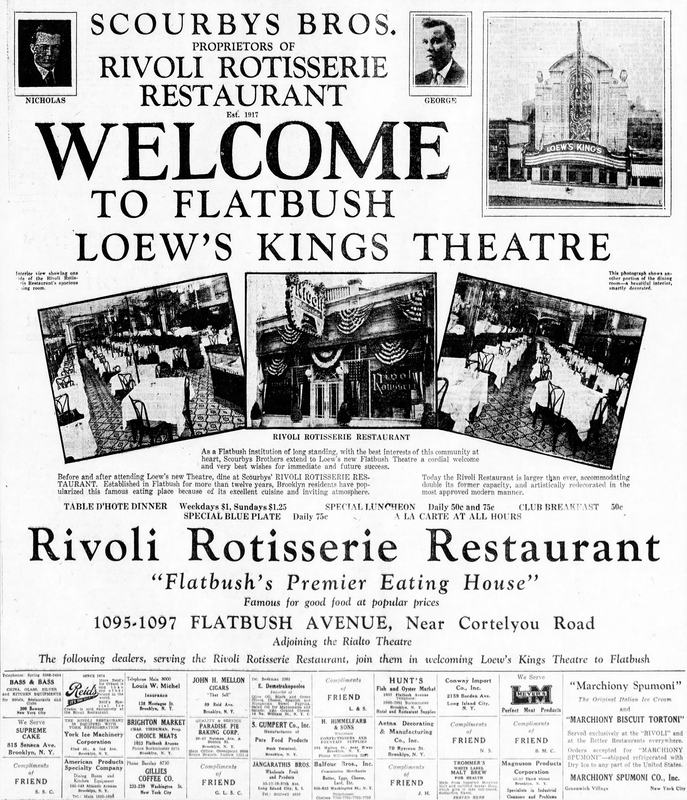 Loew’s Theatre Advertisement in the Brooklyn Daily Eagle. Loew’s stopped the vaudeville performances, lowered ticket prices, and switched to a Wednesday/Saturday schedule for films. A number of factors contributed to the change, the main one was the worldwide economic recession known as the Great Depression. On October 29, 1929, less than two months after the Kings opened, the stock market crash led to a severe economic depression. Because of this, attendance at certain Loew’s theaters, including the Kings, had dropped; people could not afford the higher priced vaudeville shows. 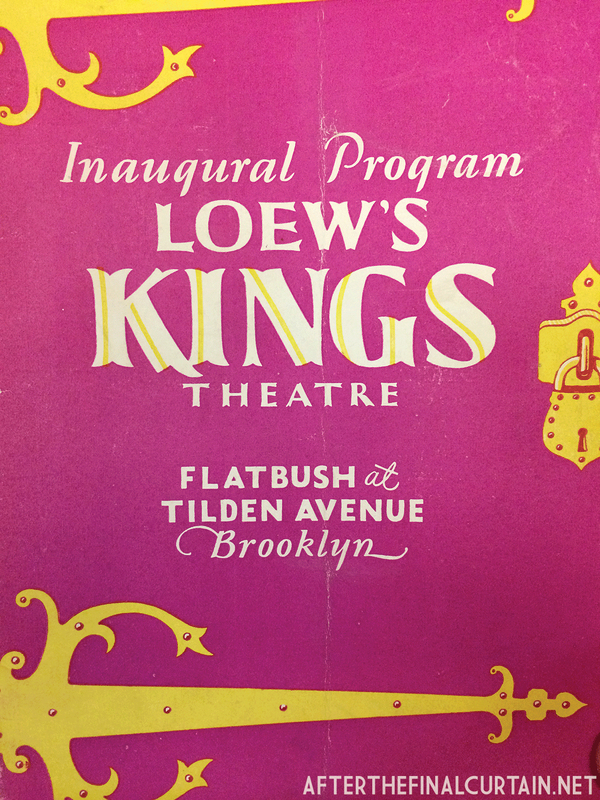 Another reason that attendance dropped at the Kings was neighborhood competition from the nearby Flatbush and Kenmore Theatres which were also presenting vaudeville shows. Finally, the Kings size proved to be a detriment for live performances. Most of the seats were on the main floor, and performers complained that they could not “reach” people in the back rows. 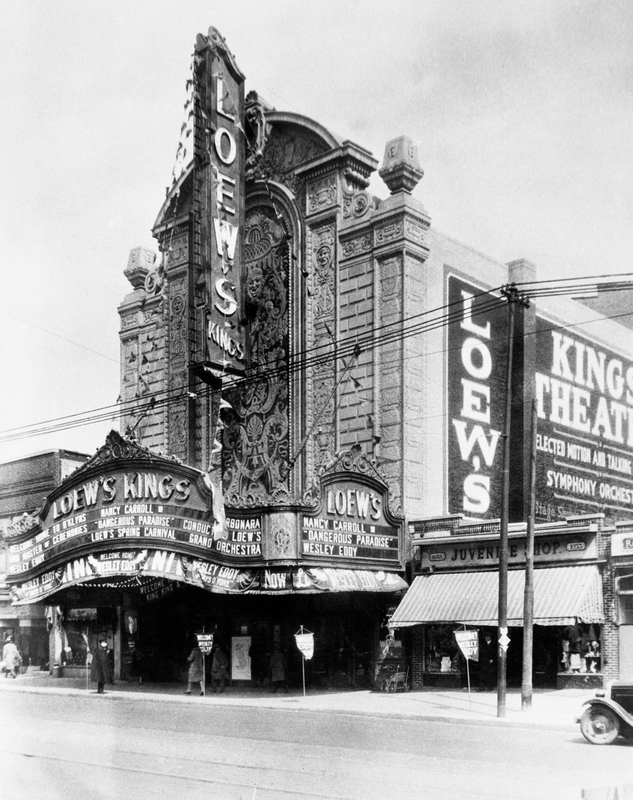 Even though Loew’s claimed it was just for the summer of 1930, the summer policy was never reversed, and the Kings joined the Bedford, Coney Island, Kameo, and Oriental Theatres as Loew’s Perfect Talking Screens, which was Loew’s term for theaters that only showed motion pictures. The lobby shortly after the theater opened. In 1933, Paramount-Famous-Lasky Company was unable to pay its debts and was forced to file for bankruptcy. Soon after this, Loew’s Inc. stopped making mortgage payments to the Allied Owners Corporation on the Kings, Valencia, and Pitkin Theatres. 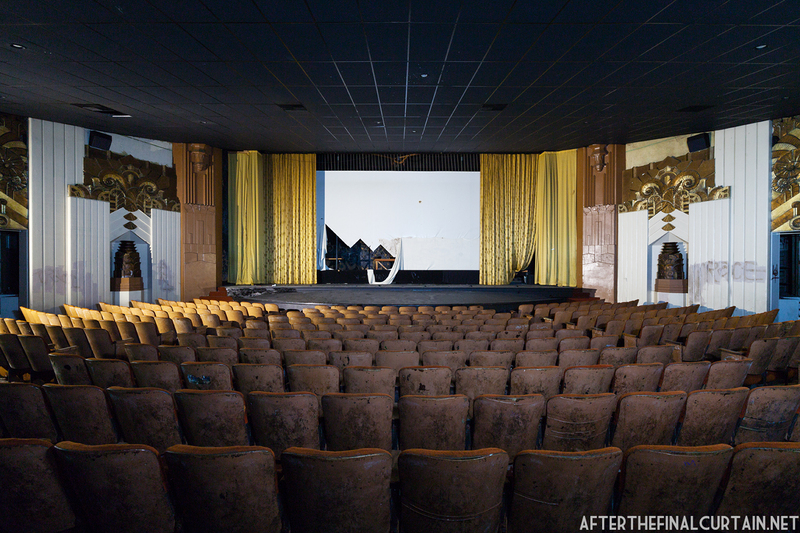 Since Allied Owners had been originally formed to finance the Kings, Brooklyn Paramount, Pitkin, and Valencia, not being paid for three of the four theaters caused that company to declare bankruptcy as well. Allied Owners then filed suit against Loew’s and Paramount for the missed payments. The case was settled in August 1934 for $12,875,000 to be paid over a period of 25 years. The closing of the sale took place the following year on July 29, 1935 when the Kings, Valencia, and Pitkin officially became the property of Loew’s Inc. Rumor has it that Loew’s Inc. stopped the payment to Allied Owners because they were trying to acquire Paramount during the bankruptcy proceedings, but Paramount emerged from bankruptcy before Loew’s was able to take over. Men’s Lounge located on the mezzanine level of the lobby. The mural on the wall depicts a knight slaying a dragon and rescuing a princess. For the first twenty years, the Kings primarily showed MGM and Paramount films, but that changed in 1948 because of the results of a United States Supreme Court case. The United States v. Paramount Pictures, Inc., also known as the Hollywood Antitrust Case of 1948, decreed that movie studios were no longer allowed to own theaters and hold exclusive rights on where the films they produced were shown. Studios owning theater circuits had created monopolies in some areas, and the verdict forced Loew’s and MGM to split into two separate companies in 1952. Blueprint for the replacement marquee. In 1949, Loew’s decided to give a number of their theaters an upgrade by replacing the original marquees and vertical signs with more modern ones. They contracted Art Kraft Strauss, the company that originally installed the marquee and vertical sign on the Kings, to install new ones. On December 14, 1949 the old marquee was removed and the new one was installed over the next few weeks finishing on January 9, 1950. It was designed to fit over the frame of the original with the original underbelly remaining. The original vertical sign came down almost a year later on October 27, 1950 and its replacement was installed over the next few days. It was lit for the first time on November 3, 1950. Unfortunately, the blade wasn’t properly secured to the facade of the building, and it would sway slightly in the wind. On an especially windy day in late November it began to sway so badly that the police had to cordon off the front of the theater because they were afraid it was going to fall off. Art Kraft Strauss sent workers to secure the sign and reattach the letters “E” and “O” in “LOEW’S which had come loose during the swinging. Part Three will be available soon. Material from for this post was taken from the first three chapters of my book, Kings Theatre; The Rise, Fall and Rebirth of Brooklyn’s Wonder Theater. If you’d like to buy a copy they are available on Amazon, and on my website. 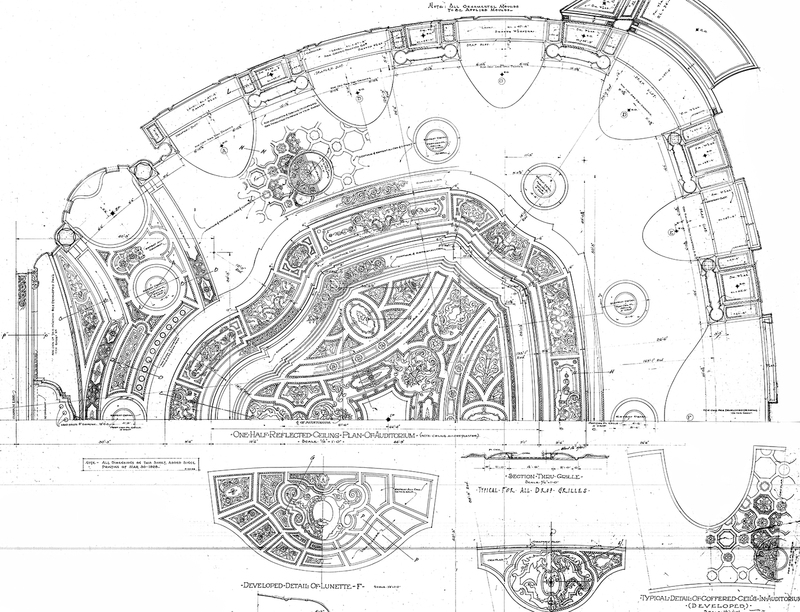 Historic photographs and blueprints are from the archival collections of the Theatre Historical Society of America. The Sorg Opera House in Middletown, OH originally opened on September 12, 1891. Paul J. Sorg, Middletown’s first multi-millionaire, had the opera house built as a gift to the city of Middletown. Sorg hired Samuel Hannaford, who designed the Cincinnati Music Hall, to design the 1,200-seat opera house. Opening day included a performance of the opera “The Little Tycoon,” composed by Willard Spenser and a speech by then Ohio Governor James E. Campbell. In 1901, the Sorg began showing early forms of motion pictures, such as photo plays, and vaudeville performances before the operas. Many now famous vaudeville performers played at the opera house, including Marie Dressler, Will Rogers, Al Jolson, Bob Hope and Sophie Tucker. 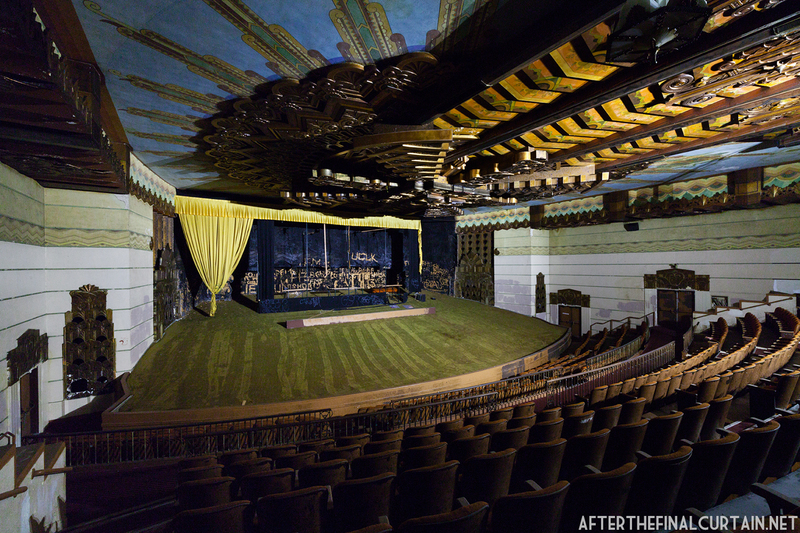 The live shows were discontinued in the late 1920s, and in the summer of 1929 a sound system was installed, turning the Sorg into a full time movie theater. The orchestra and mezzanine levels have been restored, but the upper balcony and ceiling remain in a state of disrepair. 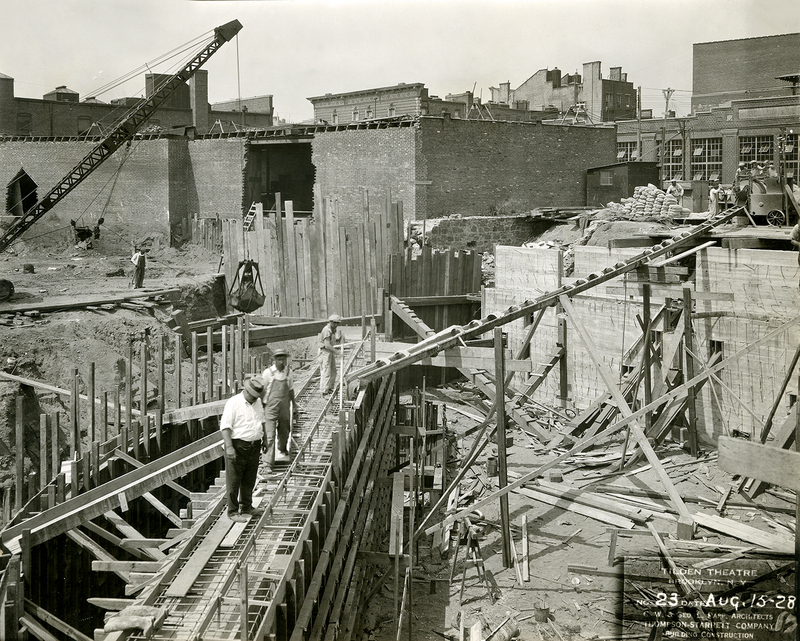 On January 17, 1935, a fire caused $10,000 (or $185,298 when adjusted for inflation) of damage to the backstage area of the theater, which caused it to close for several months. 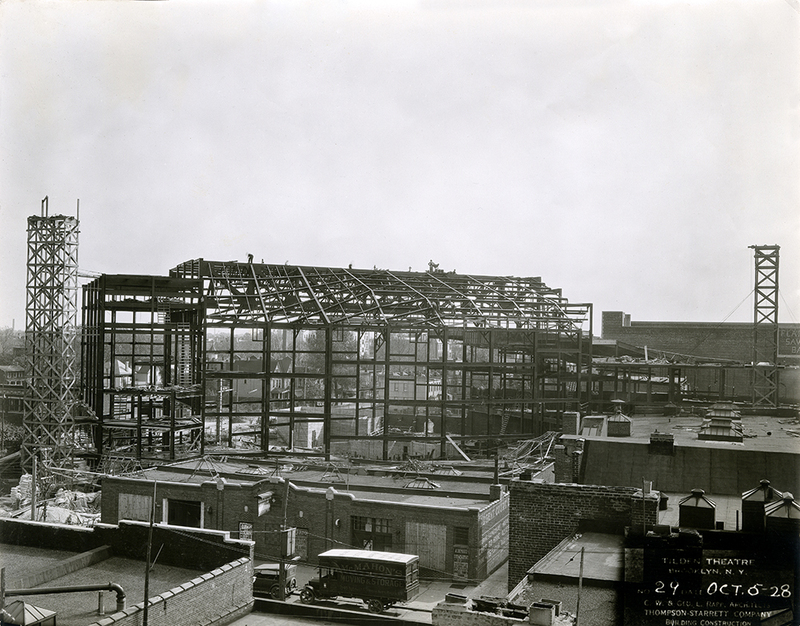 In April 1935, the Gordon Theatre Company took a long term lease on the theater and began repairs. It reopened in September 22, 1935 with films and stage shows. 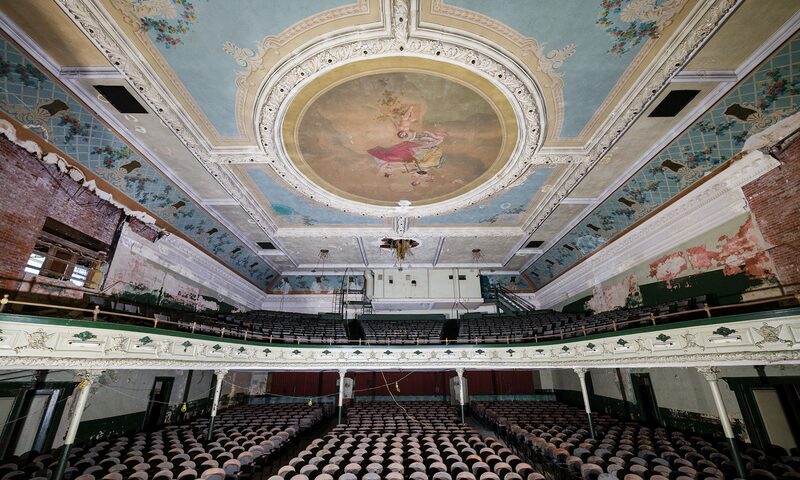 The Sorg closed again for a remodel in the late 1940s and a false ceiling was added, separating the upper balcony from the the rest of the theater to improve the sound. 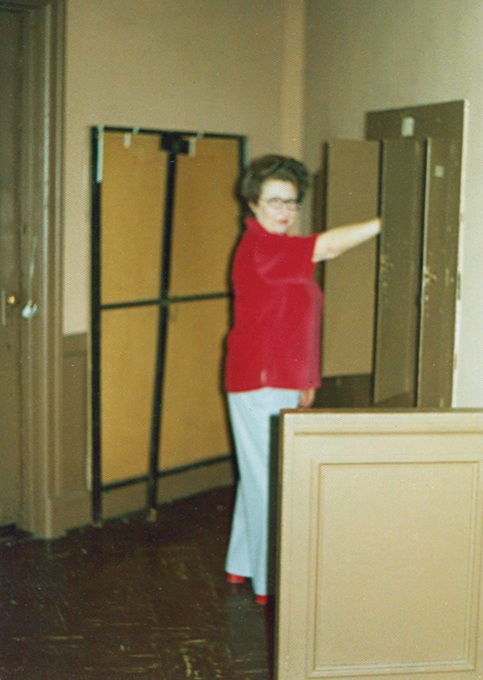 The original walls of the lobby were covered up during the remodel in the 1940s. 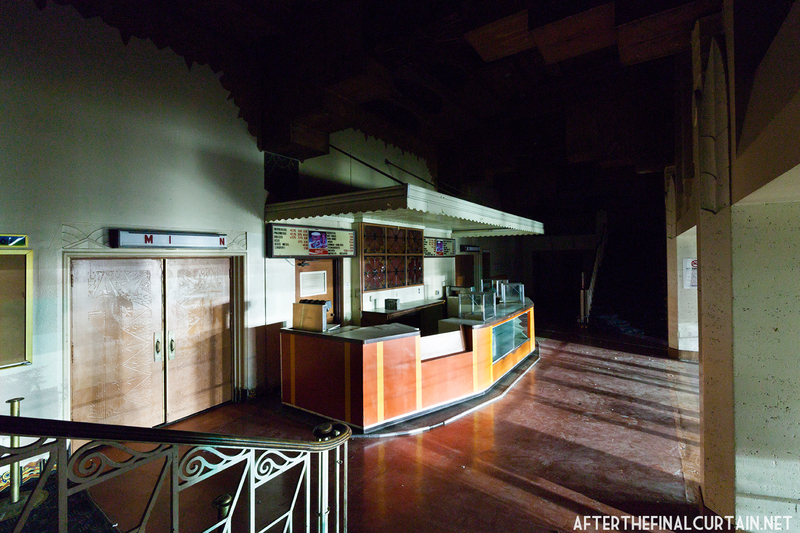 The Sorg remained a movie theater until it closed in the late 1970s. Soon after, the Friends of the Sorg was formed to reopen it as a live performance venue. They were successful, and ran the theater until 2010, when a water main break forced the opera house to close again. 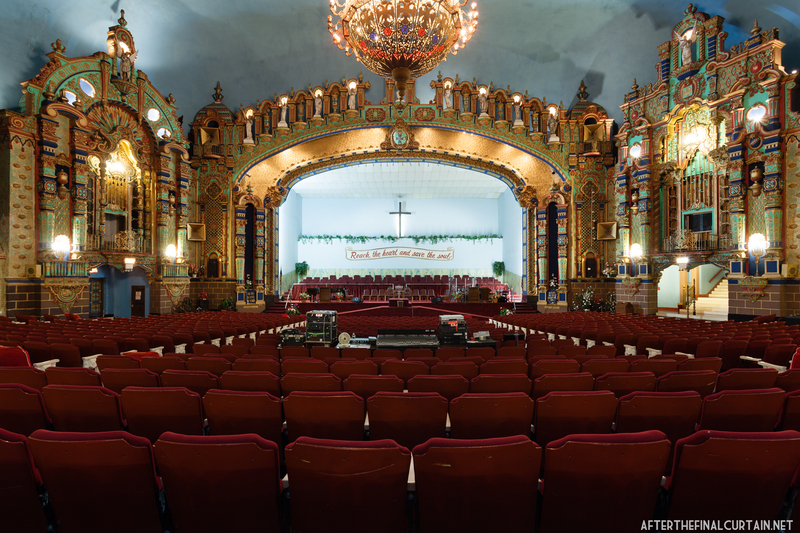 In 2012, the Sorg Opera Revitalization Group (SORG) formed to buy and reopen the building. SORG was able to purchase the theater in August 2012 for $32,000. 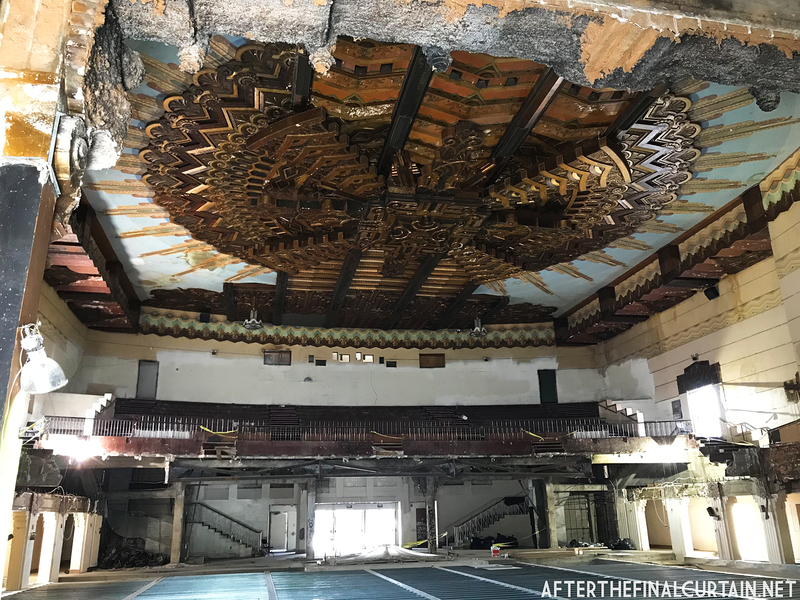 Since then they’ve made a number of improvements to the building, including removing the partition between the upper balcony and the rest of the auditorium, replacing the seats with ones donated from the Cincinnati Music Hall, repairing the public restrooms and re-hanging the house curtains. 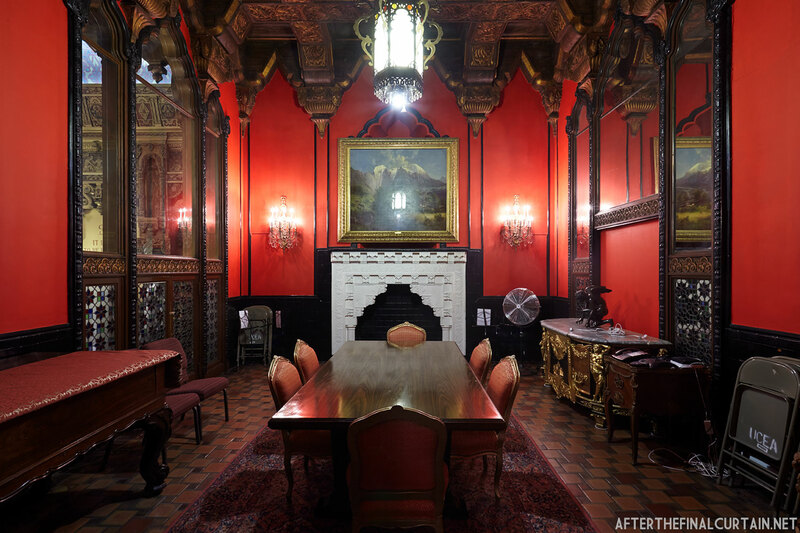 A full restoration of the building is estimated to cost between $9M and $11M. The Sorg reopened in late 2017 with a performance called “Celebrate the Sorg” and featured the Butler Philharmonic Orchestra. Like many theaters at the time, the Sorg was segregated. It had a separate entrance, ticket booth and balcony for its non-white patrons. 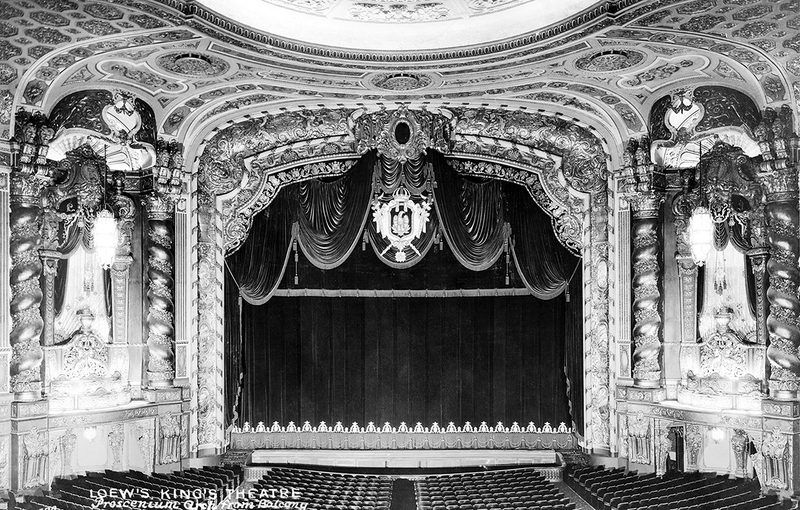 The much of the proscenium arch was covered up during the remodel in the late 1940s. 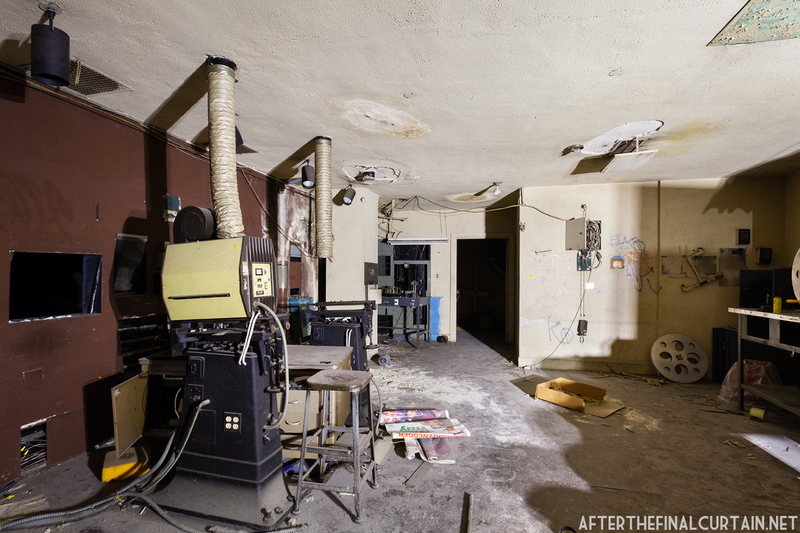 This theater is not abandoned, but I had the chance to shoot it a few years ago, and I wanted to share the images with everyone. 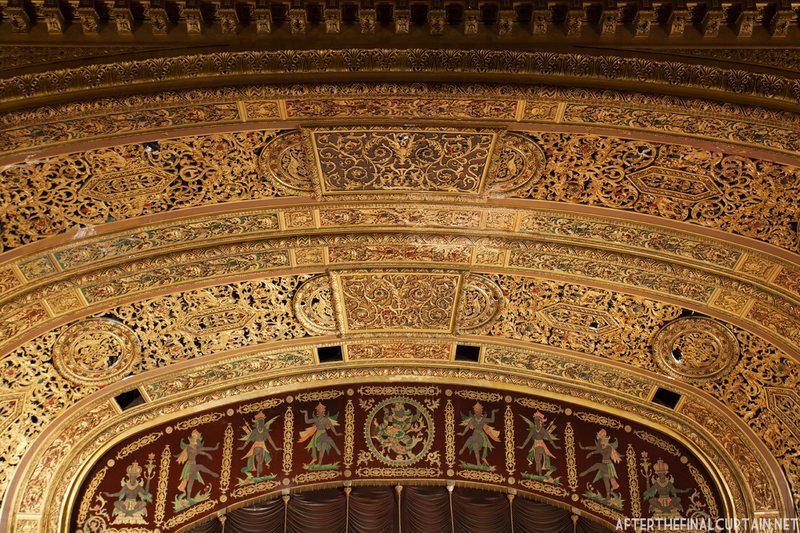 The United Palace originally opened on February 22, 1930 as the Loew’s 175th Street Theatre. 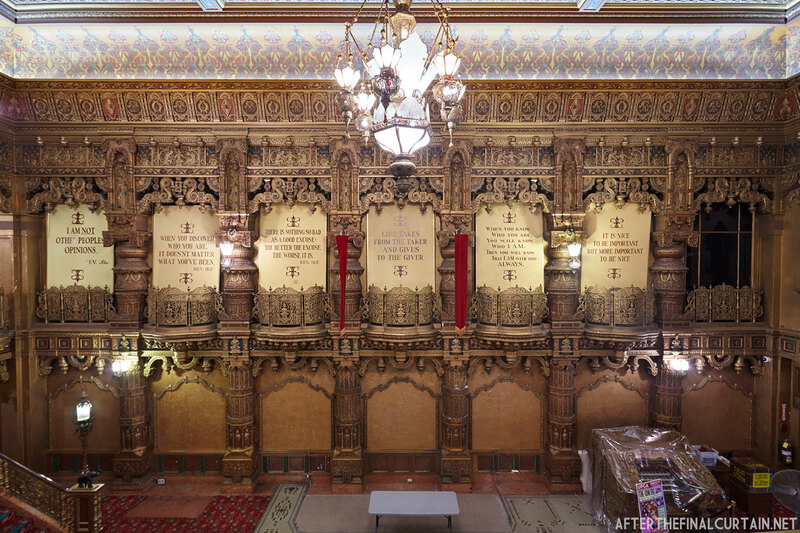 Located in the the Washington Heights neighborhood of Manhattan, the building takes up an entire city block and was designed by famed theater architect Thomas W. Lamb. (Lamb’s work can also be seen in my posts on the RKO Hamilton Theatre also in Washington Heights, and the RKO Keith’s Theatre in Flushing, Queens.) 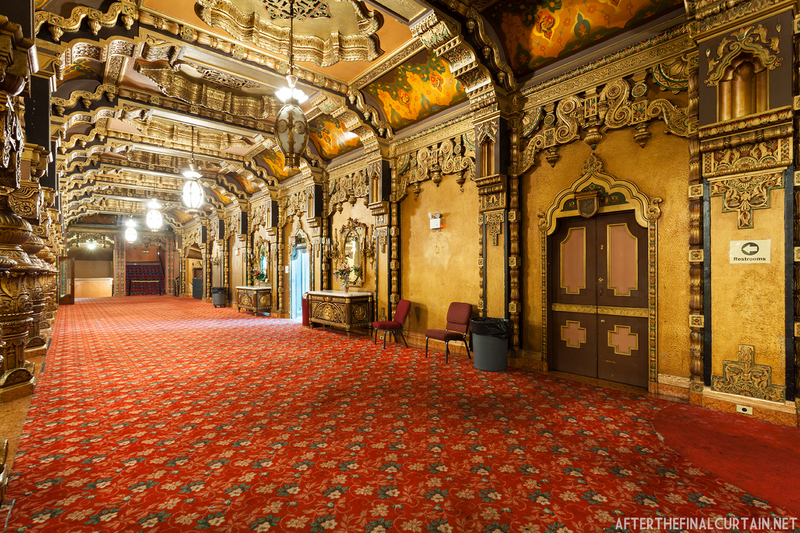 The interior decor was designed by Harold Rambusch of the Rambusch Company, who did some of the interior work on the Kings Theatre in Brooklyn, the Boyd Theatre in Philadelphia and many others across the country. 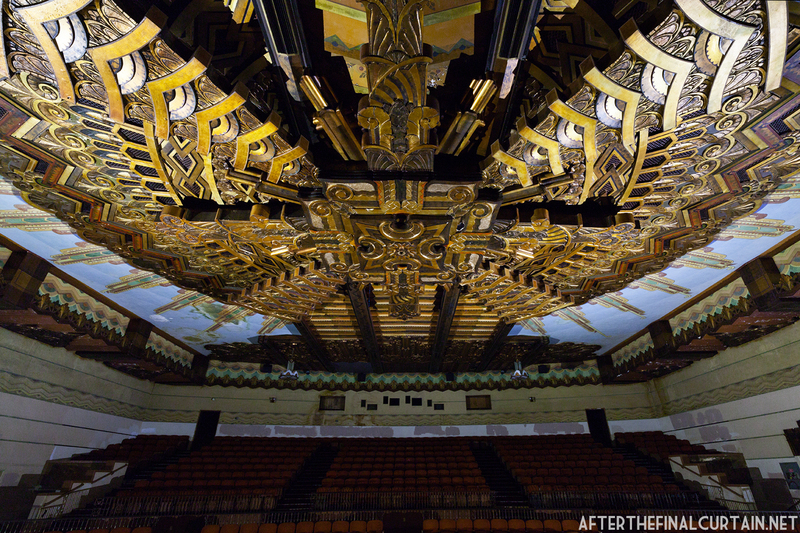 The theater was estimated to cost $1.25M to build in 1928 or $18.4M when adjusted for inflation. It was the first theater in Washington Heights designed specifically for talking pictures. 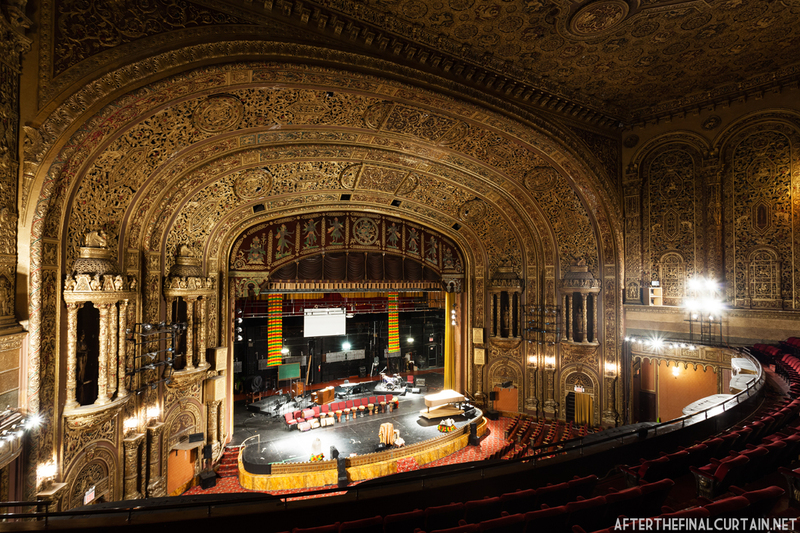 The 3,000 seat United Palace was the fifth and last of the theaters that became known as the “Loew’s Wonder Theatres.” The wonder theater concept was originally developed by the Balaban and Katz Theater Corporation of Chicago to bring large movie palaces to smaller urban neighborhoods. Loew’s acquired three of Paramount’s planned wonder theaters (the Kings and Pitkin in Brooklyn and the Valencia in Queens) in a deal with the company in 1927. 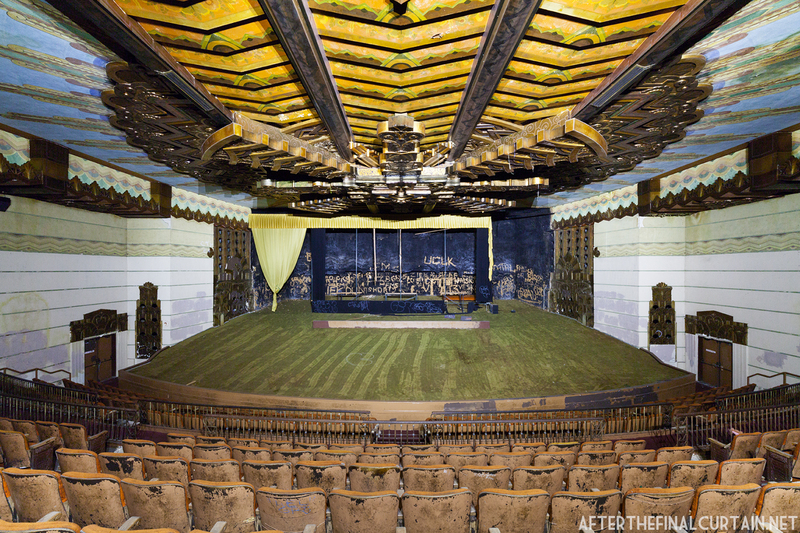 Each of the Loew’s Wonder Theatres originally had identical Robert Morton “Wonder” organs built specifically for them. View of the lobby from the lobby mezzanine. The opening day program consisted of a showing of “Their Own Desire” starring Norma Shearer and a stage show from the Capitol Theatre on Broadway. Over the years many stars made appearances at the theater, including Judy Garland, Roy Rogers, Dale Evans and Joan Crawford. Loew’s closed the theater in March 1969, and later that year sold it to Rev. Frederick J. Eikerenkotter II, a television evangelist, for $600,000. Rev. 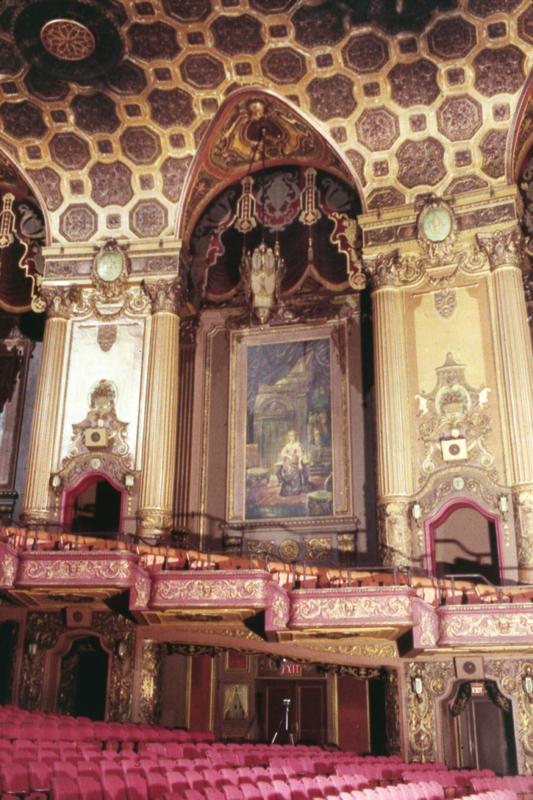 Ike, as he was known, turned the theater into the headquarters of his church, now called the United Palace of Spiritual Arts, often hosting his television program from the stage, and renamed the theater the United Palace. 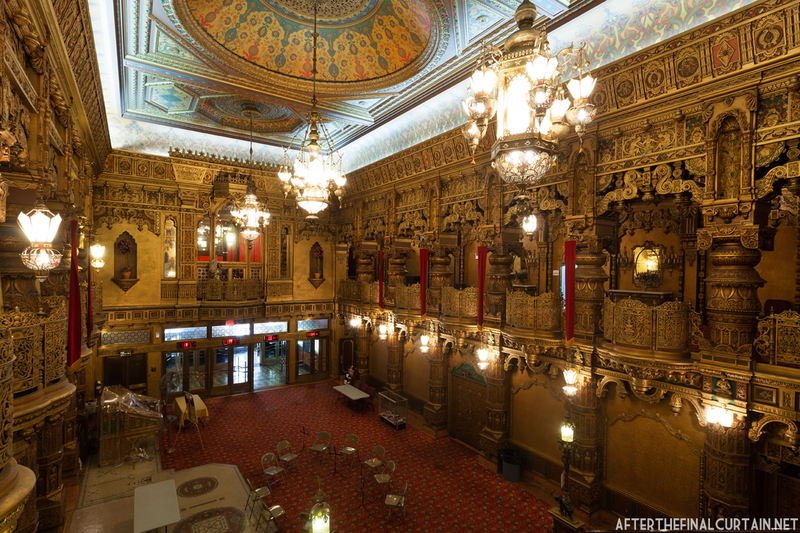 The United Palace was the only one of the Wonder Theatres that retained its original organ. The console can be seen at the lower right side of this photo. The organ was removed from the building by the New York Theatre Organ Society to undergo repairs in 2017.